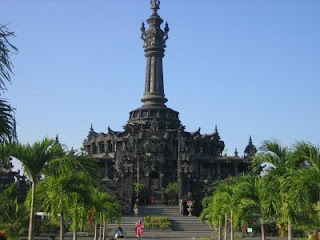 Hi, Welcome to Bali E-Planner Tours & Travel ! I am Ngakan Made Kariawan but most of my clients called me billy or riwan. This nickname is my well-known name since my clients and customers easily recognize me. I am originally Balinese, born in Gianyar, about 10 kilometers Ubud, one of the famous place in Bali. I have been experience to be a driver since 1995. I love traveling and show the beauty of my island to foreigners. I have visited almost many places in Bali and have taken many tourists and done hundreds of tours in this beloved island. I am honest and cheerful and love to make other people happy. My services rendered is fulfilling your need for having a good friend to talk to, a good driver to bring you around, and a good guide to explain what you see. I use an air conditioned car (see my the pictures above) which is convenient until seven people. You can arrange your trip with real reasonable price. The price is included Air-condition car, petrol, parking fee, driver lunch and I as your driver/guide. The itineraries are arranged by your own or you can ask me to help you with the itineraries. We also can provide you with other luxurious car upon request. Contact: billy_riwan@yahoo.com or phone to +628123926075 Have nice days!